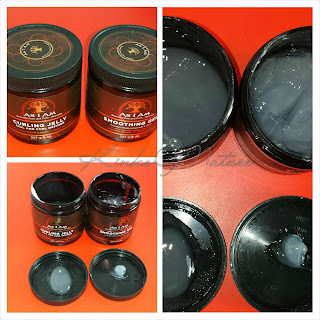 Product Claims: The lightweight oil glosser instantly adds high shine, without silicone. Formulated with certified organic Shea Butter, revitalizing Tahitian Noni and precious Monoi, Argan and Apricot Oils to help strengthen and smooth hair. Helps control frizz for a sleek finish. Ingredients: Carthamus Tinctorius (Safflower) Seed Oil, Argania Spinosa Kernel Oil, Macadamia Ternifolia Seed Oil, Cocos Nucifera (Coconut) Oil*, Tiare (Gardenia Tahitensis) Flower, Prunus Armeniaca (Apricot) Kernel Oil, Olea Europaea (Olive) Fruit Oil*, Simmondsia Chinensis (Jojoba) Seed Oil, Panthenol, Morinda Citrofilia (Noni) Extract, Tocopherol (Vitamin E). Thoughts: High Shine Glosser is a thin golden oil mix with a floral fragrance. I've used it as a sealant and an oil rinse. When using it as a sealant, I found I had to be very light-handed or run the risk of having greasy hair. It does add shine, and I only needed a small amount to do so. The Glosser didn't impress me as a sealant, but as an oil rinse, I loved it. My hair felt extremely soft and smooth even after rinsing. I didn't want to apply any products afterwards for fear of losing that feeling. Unfortunately, I did though in an effort to use up some of my nearly finished products. They were somewhat drying, but this kept my hair soft and not as dull as it normally would be with the styler I used. This is a 4oz product, and I normally wouldn't use such a small-sized product to do an oil rinse. With the Glosser, I only needed a small amount. One pump isn't much, and I used less than 10 pumps on each of my 2 sections. The packaging has its pros and cons. It's a spray bottle, but the oil comes out in a stream instead of a mist. For me, the mist is more convenient when doing daily sealing, but the stream makes it easier and quicker for me to do the oil rinse. I'll continue using High Shine Glosser for both sealing and oil rinsing. 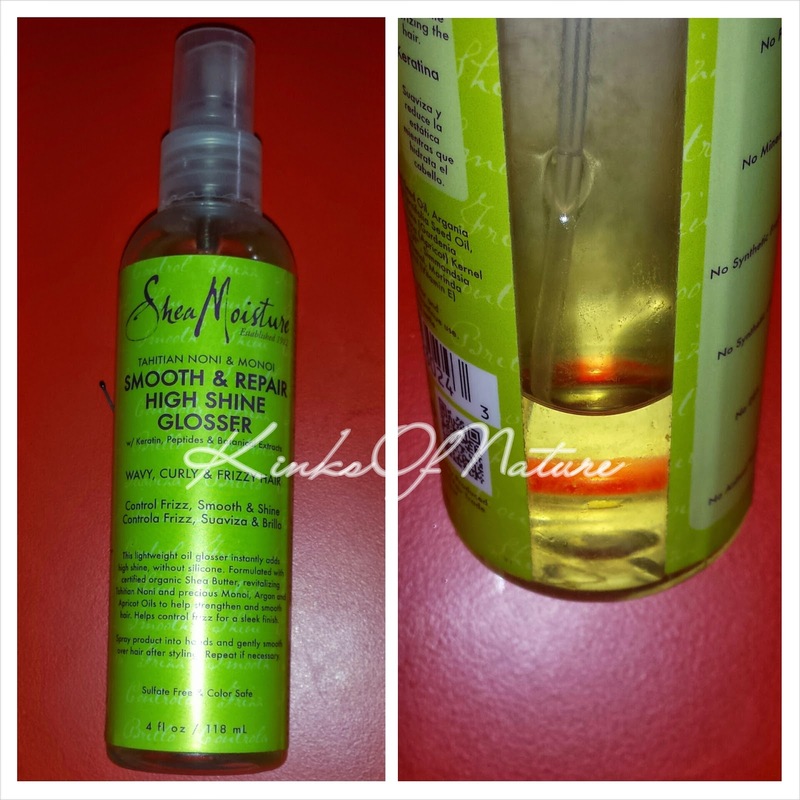 Shea Moisture Tahitian Noni & Monoi Smooth & Repair High Shine Glosser retails for $9.99 (4oz). Shea Moisture's website is now live! Check out their site to locate your favorite products at a store near you. Would I repurchase? : I'm on the fence. It's not a necessity in my routine, and I own several of the oils in the ingredients so I could make my own similar mix. However, Shea Moisture is frequently on BOGOF or BOGO50%. If my preferred items weren't available, and this was there, I'd consider getting it.